I found a new item to cook eggs in… instead of a ramekin, an avocado! 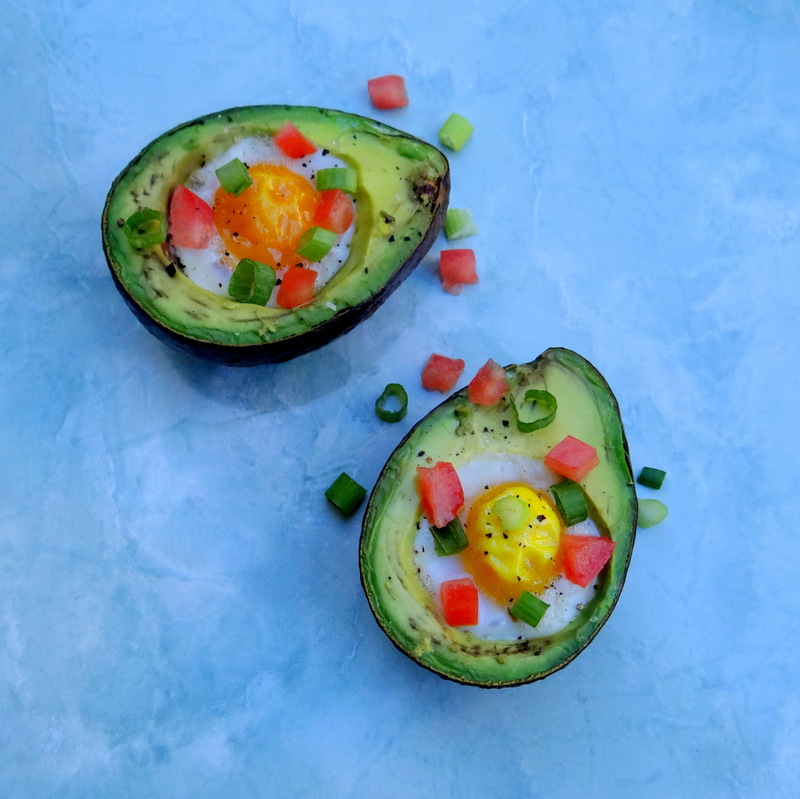 I’ve been intrigued seeing photos of baked eggs in avocados and decided to try it myself. All you do is cut an avocado in half, scoop out a little more avocado from the hole if needed to make more room for the egg. Then you crack an egg into the hole, sprinkle salt & pepper and bake in the oven. Keep an eye on it so you can determine when it’s done. I added green onions & tomatoes on top but it would also be good with some bacon and cheese!